Read alouds and other activities can be very helpful for young readers. But ultimately, children must practice active reading without extensive auditory supports to build reading skills and stamina. There are legitimate and important reasons to include teacher read alouds or e-reading programs in the classroom. This is particularly true for primary grade students and English learners who are still developing basic reading skills because, otherwise, they would not be able to experience high-quality literature or rich vocabulary. In addition, read alouds can provide a shared story for the purposes of stimulating discussion and can offer models of proficient reading. Nevertheless, there are reasons to be cautious about overusing read alouds, e-reading programs, or activities that circumvent the use of text altogether. 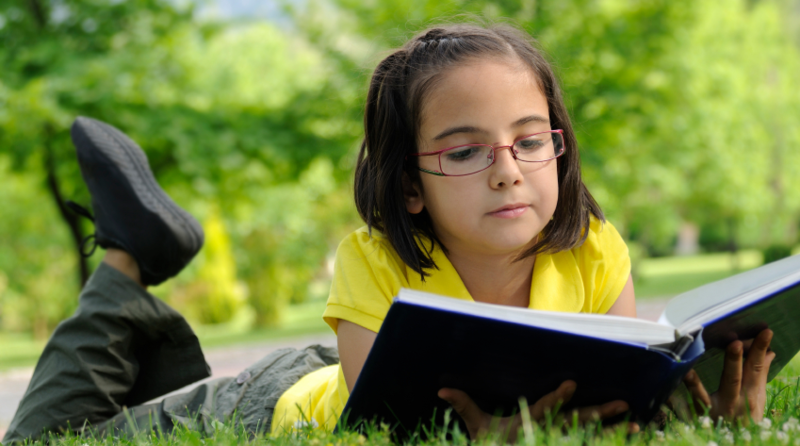 Students who listen while someone else reads to them are not honing their own skills. They are not challenged to apply their developing knowledge to read unfamiliar words, apply different phrasing or expression, monitor their comprehension, or repair any breakdown in their understanding of the text. Students become passive. At best, they may be building their listening comprehension and oral receptive vocabularies. But to build their reading skills and stamina, they actually must spend time reading without extensive auditory supports. Key steps teachers can take to help students experience success with independent active reading. Build background knowledge: Make sure students are prepared for the focus of the text and any major concepts they will encounter. This can be done by connecting to previous content learning or giving a brief introduction to new content by showing brief video clips or infographics. Pre-teach key vocabulary: Identify the key academic words in the text. Then, present the words to students in writing, pronounce the words, have students say them, and provide a student-friendly definition for each word. Including a graphic or examples and non-examples will help deepen students’ understanding of how the words work. Provide comprehension checks during reading: Have students stop periodically to monitor their understanding. Initially, the teacher will need to provide the checkpoints, but students should be taught how to locate logical stopping points independently. At these checkpoints, students might ask and answer questions, provide a main idea or summary, create a graphic representation, make inferences, or have a short discussion with peers. These steps are intended to give students the kind of support they need to practice active reading for themselves. When applied, research has demonstrated that bilingual students with marginal reading skills can learn from informational text just as well as when the teacher reads the text to them (Reed, Swanson, Petscher, & Vaughn, 2014). The three steps outlined above precede the more complex literacy skills and activities students would complete after they finish reading the text. For example, they would be done before students evaluated evidence for a claim or analyzed the perspective of the author. A young clarinet player can benefit from listening to hours of well-performed clarinet music, but there are certain fundamental skills her or she will not improve without practicing. The same is true for reading. By actively and independently reading text, students simultaneously can build their word identification, fluency, vocabulary, and text-dependent comprehension skills.